Bioaromatica d.o.o. is a company producing natural cosmetic products. 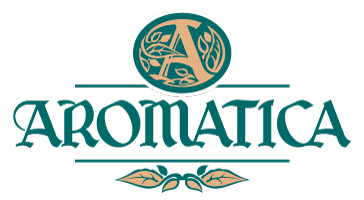 It has been present on the market since 1991., with its well-known brand Aromatica that has 400 products with a unique philosophy of natural and traditional. Aromatica cosmetics and toiletries are unique galenic products manufactured on the basis of indigenous, aromatic plants of the Adriatic coast and the Croatian islands (Lavender, Sage, Pyrethrum, Rosemary, Laurel, Immortelle…). Raw materials and production recipes are selected and adjusted according to the requirements of natural cosmetics. All products are manufactured in the galenical laboratory of Bioaromatica Ltd. in Zagreb in accordance with good manufacturing practice and comply with EU regulations for cosmetic products. 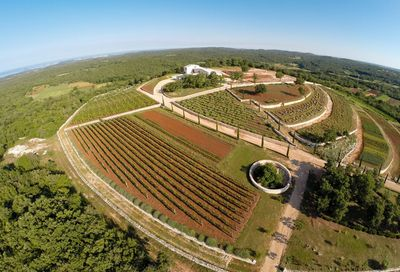 Herbal base used in Aromatica production is grown and processed on the company’s own property Bioaromatica in the County Bale in Istria. It is placed on an extremely attractive location a surface of 100,000 m2 and an additional 150,000 m2 in concession, a unique economic educational-tourist thematic park Histria Aromatica. The Histria Aromatica theme park is realized as a unique, productive, educational, agro-tourist center that connects the path from “seed to brand”. It is connecting human activity in accordance with the modern civilization philosophy of sustainable development: optimal management of natural resources, ecological production, tradition and culture with special reference to the study of ethnobotanics as a scientific discipline. Efficient and natural, friendly products made with traditional, well-known and pure herbal bases, using knowledge and modern technology, are the main Bioaromatica’s business philosophy. In difficult and risky times, we have choosen a longer, harder and slower way for research and development to the production. – we take care of your health by producing small series of fresh and quality products for human health and care.